U.S. District Court Judge Amit Mehta ruled Tuesday that the State Department had not done all it could to locate the emails Clinton sent in relation to the Sept. 11, 2012, attack on the U.S. consulate in Benghazi Libya that killed four Americans — including Ambassador Christopher Stevens. He found that the State Department “has not met its burden of establishing it performed an adequate search” in response to Judicial Watch’s Freedom of Information Act request. Politico reports that the State Department has so far located 348 Benghazi-related messages, sent to or from Clinton in the months around the attack. However, Judge Mehta said that that wasn’t enough. Instead, he ordered the State Department to search the state.gov email archives of the accounts of former aides Huma Abedin, Cheryl Mills, and Jacob Sullivan. The ruling is in response to a suit filed by Judicial Watch originally in 2015. The conservative watchdog has been central in the quest to get more information about Clinton’s emails, specifically in relation to the Benghazi attack. 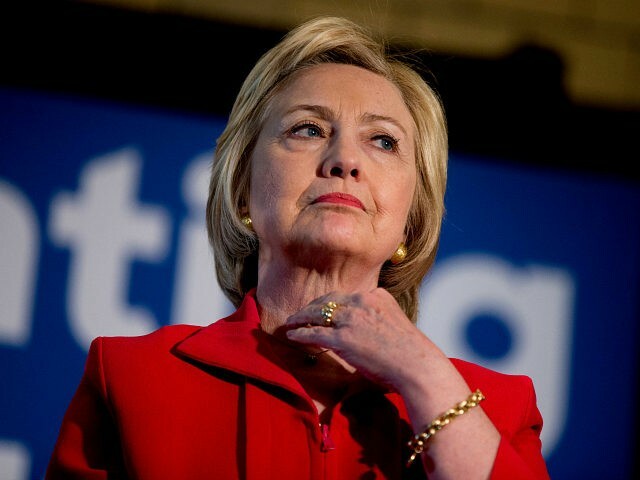 “This major court ruling may finally result in more answers about the Benghazi scandal – and Hillary Clinton’s involvement in it – as we approach the attack’s fifth anniversary,” Judicial Watch President Tom Fitton said in a statement. “Why are Secretary Tillerson and Attorney General Sessions wasting taxpayer dollars protecting Hillary Clinton and the Obama administration?” he asked.